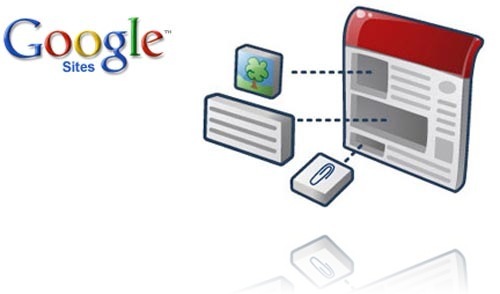 If you need to author, develop, and launch a website quickly, consider using Google Sites. I'm all about efficiency...like most small business owners I am always on the lookout for new tools to help improve productivity. My preferred method of Website development is either hand-coding HTML, or using a Web content management system such as DotNetNuke or Wordpress. Customer requirements such as budget, time frame and functionality is the major "driver" on which path I choose to take. The Google Sites platform has become be a good option because it allows me to deploy rapid website development solutions for my cost conscious customers. Below, I will summarize the pro's and con's of using Google Sites. Similar to other website builders such as Wix, Yola or Weebly...Google Sites is a free Website CMS hosted in the Google Apps cloud. Cost - Google Sites (as of now) is a free service*. Speed - Rapid development using prebuilt templates. Stability - Hosting is provided via the Google Apps cloud. Semi-Custom - Template design can be modified using the Web-based GUI. Including colors, fonts, background images, etc. Ease of Use - Add new pages and content easily using the browser based admin screens. Gadgets - Simple integration with Google's family of products including Picasa, Docs, Calendar, YouTube, Drive and more. SEO - Integrated search engine friendly code. Customization - No access to the core template html code. This limits what can be changed. Functionality - Unlike other CMS platforms, access to third party plugins (gadgets) is limited. This may change as the technology evolves. Commenting - Guest comments are not allowed. This is a barrier to visitor communication and engagement. The Google Sites platform is a perfect fit for simple websites which require DIY maintenance. The out-of-the-box functionality will server most small business owners well. It is a great alternative to the more robust web CMS platforms. An ideal solution for hobbyists, organizations, sports teams, "mom and pops", and more. Looking for custom Google Sites web design? Contact us for more information. Although Google Sites are DYI, some of the template customization may require the help of a designer and or Photoshop expert. *Vanity domains require domain registration. Please update it more often as I find it very professional and informative for your visitors. When we were just starting out, our seo specialists london started using Google Sites to build our site. It's ideal for beginners because it's more efficient and easy to use but eventually we had to change for better customization and functionality. Does Google already have a platform for mobiles? I'm interested to know because I want to create one for our business, it's also one way to promote our mobile marketing.